Hutcheson Sand and Mixes would like to welcome Matt Smith to our sales team. Matt will be heading up our Natural Stone and Bagged Landscape Aggregates divisions. 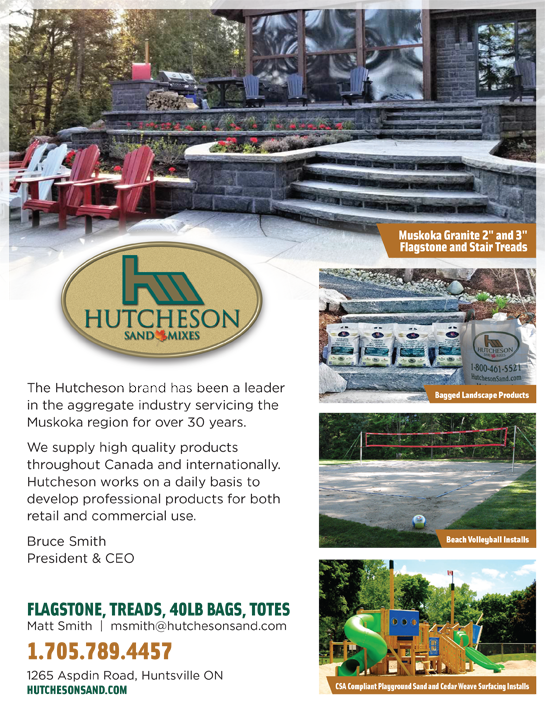 Please feel free to contact Matt for pricing or any other needs by email at msmith@hutchesonsand.com or by phone at 416-453-2109. Welcome to the Hutch team Matt!